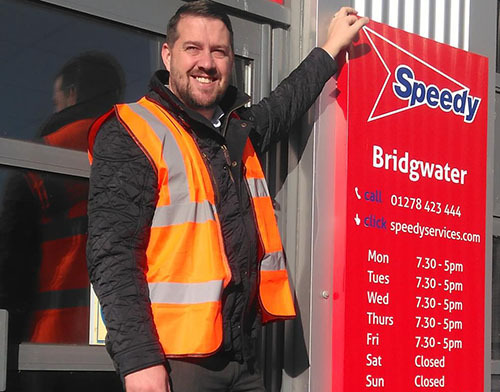 Speedy, the UK's leading tools, equipment and plant hire services company, has relocated its depot in Bridgwater to larger premises to meet the needs of local businesses and to service its own on-site facility at the Hinkley Point C power station development. The move is testament to the company’s commitment to its West Somerset customers, where Speedy recently strengthened its powered access provision by acquiring Prolift Access Limited, headquartered in Taunton. Located at Wylds Road Trade Park within easy access of the M5, the new premises will provide more of Speedy’s extensive range of hire, sales, specialist services and training services locally. A new dedicated training facility forms part of the new site delivering a programme of industry-leading, safety and skills certified courses. For full depot details, please see the Bridgwater depot page on our Speedy Depot Locator.